...or not! 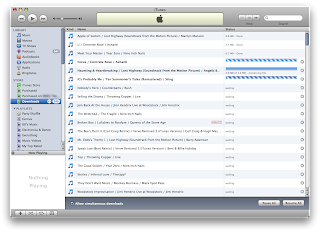 :) Just tried to upgrade my library (245 songs for EUR 42.75, why am I doing this?). I click "buy now", iTunes Store asks me to agree to their new terms of service. Fine. I click "buy now" again. 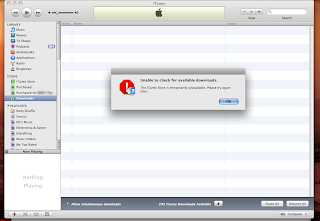 iTunes says, "The item you tried to buy is no longer available." Slow downloads I would have expected, but this is weird. 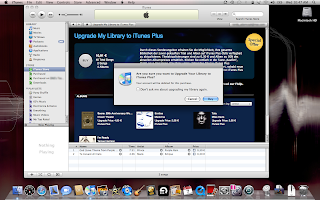 So I go back to the iTunes Store front page, and both the "iTunes Plus" and "upgrade my library" links are gone! I look at my iTunes account information. Ah, I have 245 downloads available? Even though all of my attempts to purchase had been rejected by errors? Interesting. Well, why not click on "download now" and finally upgrade my library! Or so I thought. Looks like I am going to have to wait. 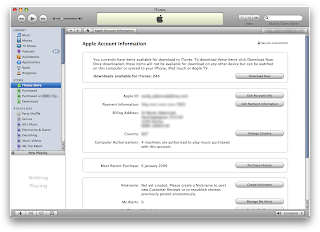 Still, I'm psyched about iTunes music being DRM free now. Glad I bought my music there, and not from some Windows Media based, already defunct service. Today the "upgrade my library" link was back. I clicked it, and it offered me another 40 songs. I was able to download them immediately. But I'm sure these are just a minor glitches.